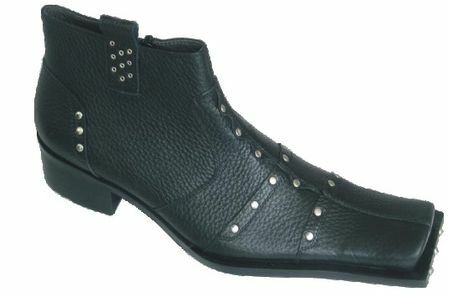 Get in that club the right way by wearing high fashion pointy toe boots by Zota. Featuring head turning style that is guaranteed to get you noticed. These black high fashion boots have the metal ring and chain ready for action and style. The pointy toe look just adds to the high fashion appeal. Read More about Antonio Zengara Shoes here. Find a huge selection of good looking Cheap Suits. Young men these days won't be seen wearing suits unless they happen to be Slim Fit Suits.